PLEASE NOTE - this will be an important meeting which will include a key discussion about the future of the group. The decisions made at this meeting are likely to determine the future direction of the group (including the potential option of closure). We would urge as many members to attend as possible. 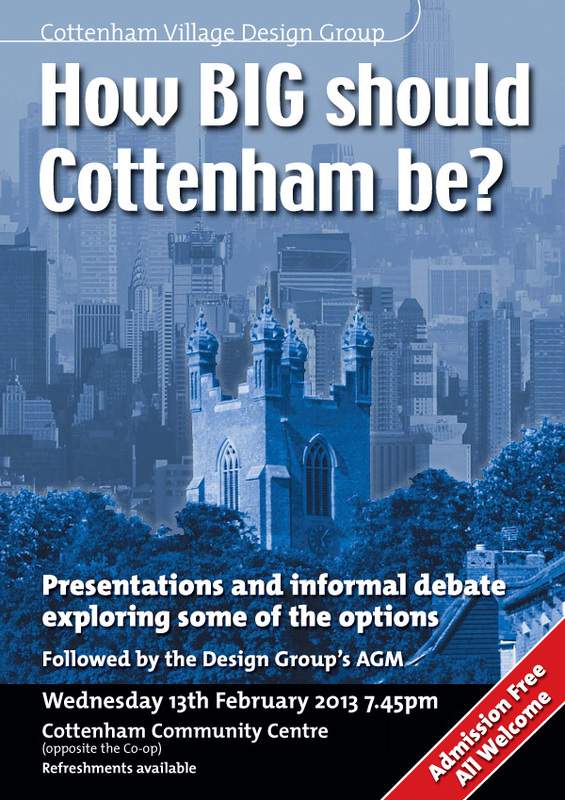 How BIG should Cottenham be? How local is the Localism Act? There's been a lot of press coverage recently about proposed changes to national planning policy – including the controversial 'presumption in favour of sustainable development'. But the Localism Act also has the potential to deliver more power on planning matters to local communities such as ours. In this talk Andy Thompson of leading heritage and planning consultants Beacon Planning discussed neighbourhood planning and link this to the new National Planning Policy Framework. David Wilson Homes gave a presentation on their proposal to build 50 new houses on the corner of Long Drove and Beach Road. Ken Doyle, from the Village Energy Project in Histon & Impington, will talk on solar panels, particularly in conservation areas and on listed buildings. Followed by the Group's AGM. FREE. Non-members Welcome. Refreshments available. 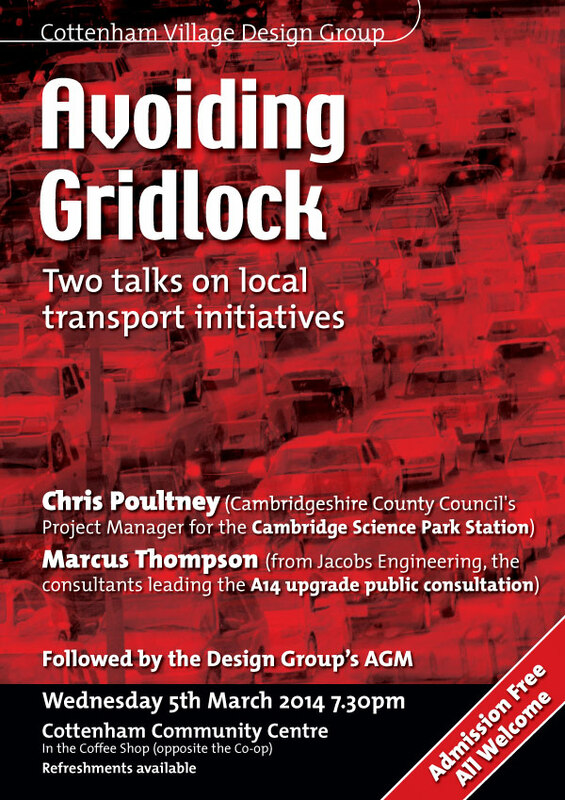 Self-guided audio tour of the Stirling Prize 2008 winning Accordia development in Cambridge - report in our Newsletter. The Group will be providing a flower display at All Saints Church on Saturday and Sunday as the church is celebrating its 800th birthday. Do come along and enjoy the atmosphere of this historic church and see the arrangement from the Design Group. Architects from Mouchel presented details of their work in the education field, including the proposed changes to the Village College that will deliver a new Sixth Form Centre and Technology Centre as well as other general improvements across the site. Followed by the Group's AGM. Joint visit, with Cottenham Parish Council, to the Education Centre and Donarbon Waste Management Park, off the A10. 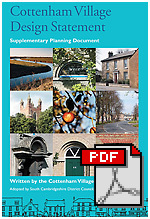 Free guided walking tours on the buildings of Cottenham's historic High Street - part of the Fen Edge Family Festival. What Makes a House 'Eco'? Talk by award-winning local architect Meredith Bowles. September 13th 2008. For a report see our Newsletter.